In the disappearing water trick, a magician makes water seem to disappear from inside a cup. It is a science-based magic trick that is based on a scientific principle, but it's also a trick that's simple and a lot of fun. Essentially, you pour some water into a cup and wait a few moments. Then you turn the cup over, but no water pours out—the water has apparently vanished. There's nothing special about the water or the cup, but there is something inside the cup that your audience doesn't know about. Before you present the trick—and with no one looking—pour approximately 1 tablespoon of sodium polyacrylate into the bottom of the cup. You will probably want to experiment before performing the trick to test the amount of the compound to use as well as the volume of liquid that you can pour into the cup and have it effectively "vanish." Pour about 1/4 cup of water into the cup. In a short time, the water will react with the compound and form a solid gel. Meanwhile, you can keep your audience engaged and build the suspense by talking about how the "magic is working." 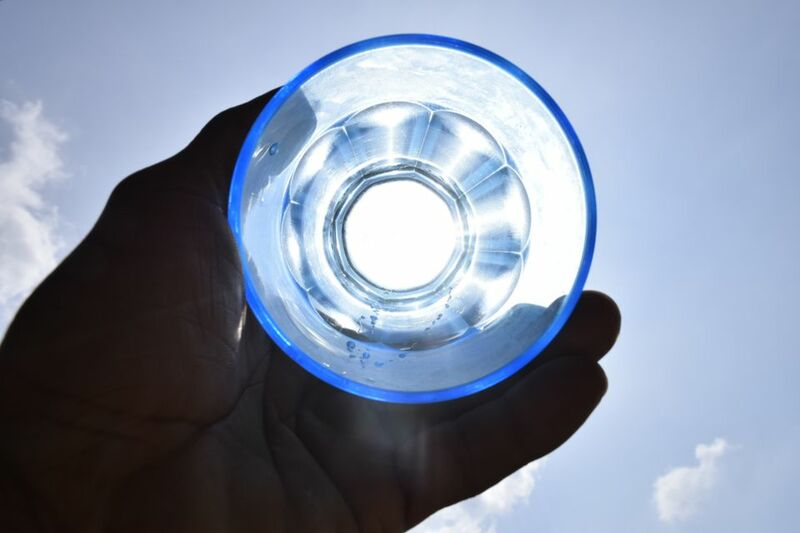 When all of the water has been absorbed, turn the cup over to demonstrate that the water has vanished. Because the audience can't see the gel inside the cup, they have no reason to suspect the water is still there and in a different form. To maintain the illusion, be sure not to show the inside of the cup before and after the trick. This is a science-based magic trick, but it is the most fun to perform it as a straight magic trick. You can always explain the science later if you'd like. The secret ingredient in the water cup is a common compound called sodium polyacrylate, which you can purchase at a hardware store, gardening store, or nursery. It is also sold in a form known as “moisture-saving pellets.” The same compound is used in disposable baby diapers, which can be another source for your magic trick—simply tear open a diaper and remove and collect the moisture-holding material within. With a quantity of sodium polyacrylate in hand, you will be able to perform the trick. Sodium polyacrylate acts like a sponge and absorbs moisture. When mixed with water, the compound turns into a solid gel. Once the sodium polyacrylate forms a gel, the water is no longer liquid and can’t pour out. The particles in sodium polyacrylate are hygroscopic, which means that they absorb and hold water. Of course, this property is the reason why the compound is used in baby diapers to absorb moisture and keep babies dry and comfortable.